The Alabama Crimson Tide's perfect season ended earlier this week, as the Clemson Tigers steamrolled them in the College Football Playoff National Championship game. 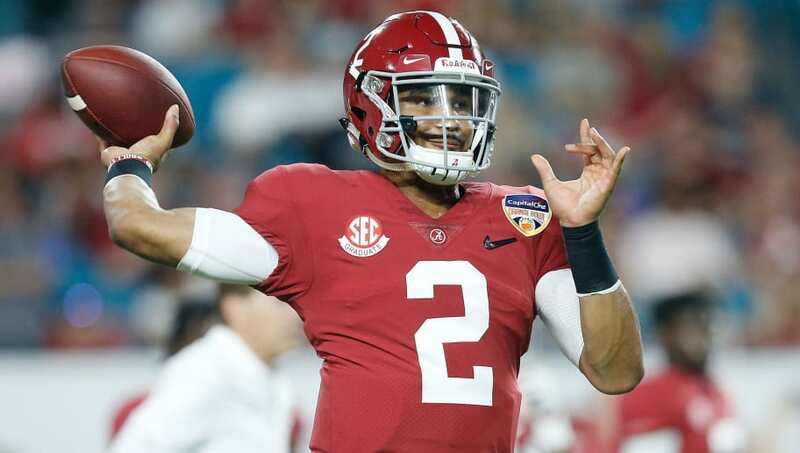 Now that the season is over,​ quarterback Jalen Hurts entered the transfer portal, fully aware that Bama is definitively Tua Tagovailoa's team. ​Hurts was spotted earlier this week at a Maryland Terrapins basketball game. Now, he's been seen on the campus of another program. According to Sooner Scoop, Hurts was spotted at in Norman for a visit with the Oklahoma Sooners Saturday. OU is faced with a difficult task for next season, and that's to try and replace Heisman Trophy winning quarterback Kyler Murray. After (ironically) being eliminated by Alabama, Murray was scheduled to report straight to the Oakland Athletics for spring training. However, it appears he has changed his mind, as reports say he's increasingly keen on declaring for the NFL Draft. Acquiring Hurts would be a huge get for the Sooners. Since he is a grad transfer, he would be eligible for just the 2019 season. If Hurts is to officially transfer to Norman, he would serve as a bridge-type quarterback, as Spencer Rattler and Tanner Mordecai would likely compete for the starting job in 2020. Per sources Alabama transfer QB, Jalen Hurts is visiting #Sooners today. A visit doesn't mean anything is official. But you can put Oklahoma as a potential landing spot for Jalen Hurts. And what a game-changer that would be.